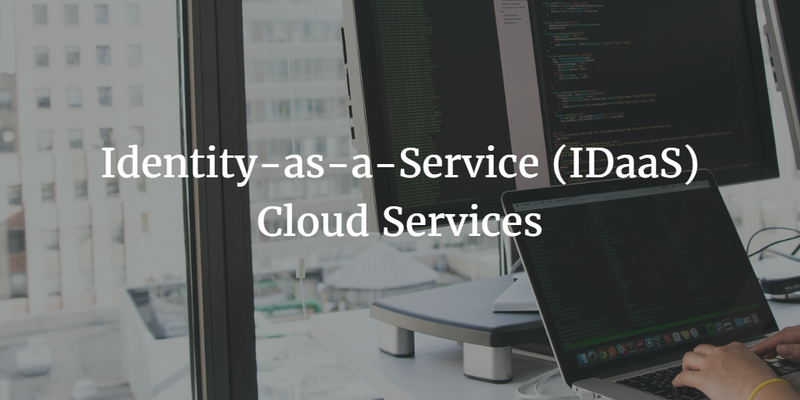 Identity-as-a-Service (IDaaS) solutions are the hottest segment of the identity and access management market. With the move to the cloud, IT admins are being challenged to effectively secure identities across a wide variety of platforms and locations. Not only is the process difficult, but there are also security implications associated with each decision being made. Identities are the keys to the digital kingdom, and we all know that breaches have significant consequences. A new generation of Identity-as-a-Service cloud services are helping IT admins take their identity management platforms to the next level. Networks were much simpler fifteen years ago. They were largely Microsoft Windows based and located behind the firewall. Microsoft took advantage of these characteristics and introduced what would turn out to be the most popular directory service, Active Directory. Over the next decade and a half, AD would be become the standard user management system. The market started to change with the addition of web applications, so IT vendors added web applications single sign-on services built on top of AD. As Macs and Linux machines became more prevalent, other IT vendors created directory extension technology to manage those devices. Those solutions, too, were built onto AD. Many others followed suit. This caused a major problem for IT admins, since their identity management infrastructure was comprised of numerous solutions all tied together in some way or another. And to make matters worse, each solution required its own management, maintenance, and resources. A new generation of Identity-as-a-Service solution called Directory-as-a-Service® is taking aim at the root of the problem: the on-prem directory service. A modern directory service needs to account for the environment that it works within. In today’s cloud-forward and web-based environment, it is most desirable to have very little on-premises IT infrastructure. Organizations are searching for the best solutions to their problems. They don’t want to be locked into solutions simply because of their platform choices. A cloud-based directory service is platform and protocol independent. Macs and Linux devices are first-class citizens, that is to say that they are treated just like Windows devices. The on-prem LDAP-based application is authenticated from the same source as the web-based SAML application without the need for additional solutions. Directory-as-a-Service is an integrated True Single Sign-On solution. An identity management system is tasked with securely connecting users to the IT resources they need. Today’s complex environments are dictating directory services solutions that can work in heterogeneous platform environments, support systems and applications on-premises or in the cloud, and authenticate using whatever protocol is best for the IT resource, including LDAP, SAML, RADIUS, SSH, and REST. If you would like to learn more about how IDaaS cloud services could form the basis for your identity management infrastructure, drop us a note. We’d be happy to help in any way that we can. Or, if you would like to give JumpCloud’s Directory-as-a-Service solution a try for yourself, please sign-up for a free account. Your first 10 users are free forever.